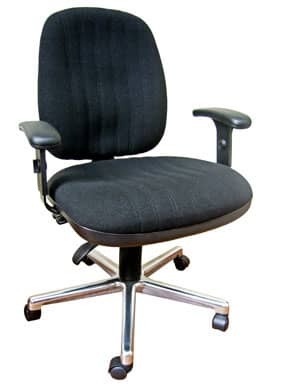 Ergonomic office chair with a reinforced steel base for added weight support, suited for taller statute. Extra large seat pan for very tall people and those requiring a wider load of support. Specialised gas lifts and adjustable arms also available on request.